The Spring real estate market is already warming up and due to low housing inventory, an Open House can be an effective way to get your listing seen. Listen as Scott offers some great ideas that were shared in “The NEW Agent” training series on how to help ensure a successful real estate open house. LOW INVENTORY: Homes for Sale Needed in Northern Virginia! Low inventory and multiple offers – listen as Scott MacDonald explains the current housing market from both buyer and seller perspective. Scott offers practical advice to homeowners who are thinking of selling, as well as, market trends and forecast for the Northern Virginia Real Estate Market. How to be successful this year in real estate. It’s the beginning of the year and agents are asking what they need to do to be successful this year in real estate. As I thought this through, I came up with a few areas that I believe agents need to “pay attention to” sooner rather than later to be successful in real estate. Here is the list of urgent and important items, urgent items, important items and lastly, to do items that I came up with for success this year and beyond. Get you database together – sort and qualify them. Assemble their name, address, email address and phone number. Call them, stop by and see them with a “leave behind item of value”, communicate with them regularly to strengthen your relationships with them and to develop your base of business. Develop a daily game plan of who you are going to reach out to and why. Do this the evening before or the morning before you start your day. Create a daily schedule with strategic blocks (1-2 hours), buffer blocks (3-5 hours) and break out blocks (1-2 hours) built in and stick to it for success. Have a business plan complete with goals, objectives to meet these goals, and action plans to carry you over the goal line. Hire a coach/mentor to keep you on track – meet with them weekly to review your goals/business plan. Your broker or manager is always a good start as they are invested in your success. Get an accountability partner to hold your feet to the fire complete with rewards as well as consequences for your actions. Learn the business – read publications, attend industry events at your office, Real Estate Exchanges, Quarterly meetings, association and at the franchise level. Learn the inventory – see 5 houses every day including new homes. Attend Broker Opens. Meet with others in the industry – lenders, title, builders to gain insight into their areas of the business and what is happening with them. Start a blog and write consistently. Do videos and post to your blog, website, and social media channels to gain exposure and recognition as an expert. Plan to host at least one client event this year. Have a daily to-do list. Work on hardest things first as they are typically the most critical. Develop a routine and stick with it. Always start with prospecting as it is the key to success. Maintain a calendar with events and goals for the day and week. Work on your negotiation skills through role playing. Be present – stay off cell phone during your “block” times, focus on the other person, be an active listener. Utilize systems and process to ensure your success for marketing yourself, working with buyers and sellers. Set up a networking group to grow your business. Create and develop your brand – who you are, what you deliver and what you stand for in the business. Read inspirational and motivational articles, books, etc. each morning to get you in the right frame of mind daily. Continuously educate yourself personally and professionally. Set a goal to read a book a month or even a book a week or to attain a designation. Eat healthy and exercise regularly. Invest wisely in yourself and in your business – check with your coach, mentor or trusted advisor before any major expenditures. Celebrate your successes, including the small ones as they all count! Consistently work on communication skills. Create a vision board of your goals, dreams and desires. Have a good balance between work and life. As you progress in your career or if you are looking to jump start your career be sure to add these items to guide you to success. Obviously there are other areas which you need to develop but these will most definitely help you. If you are interested in more information or would like to schedule a time to meet, please feel free to call me. Scott MacDonald of RE/MAX Gateway offers valuable information on the latest real estate inventory and how important pricing is for selling your home in his video blog Scott’s Market Minute. Sellers are urged to price houses competitively to sell fast. For a free Home Market Analysis, contact Scott MacDonald (703) 652-5777 There’s still time to get your home listed for sale! October took the real estate market roller coaster ride. Rates went up, rates came down. Sales went down, sales went up. Inventory rose, inventory came back down. In some areas, the number of multiple contracts went down, then they went back up. Inventory of short sales and foreclosures were down, then they rose but luckily by not too much. The government shut down and the government opened back up – luckily, it was not too long and did not have a tremendous impact on the housing market. Our emotions went up, our emotions came back down, as there was a lot of concern about delays in closings associated with the shut down because of the reduced number of employees at FHA and the IRS, but we avoided a potential disaster there. Additionally, we were worried about the government defaulting on their debt which would have sent interest rates skyrocketing, and again, fortunately, this did not happen. Even though there were so many ups and downs, the market in October this year was still better compared to a year ago. There were more home sales, higher home prices and more homes for sale for buyers to choose from, although the uncertainty skewed people’s perception. So now you know why October was such a roller coaster for real estate. What lies ahead on the horizon as we enter the winter market? My belief is we will be in our typical winter market. Homes will come off the market for the holidays. Motivated, savvy buyers will be out buying homes. Interest rates will remain in the low 4% range. Home prices will continue to stabilize throughout the Northern Virginia area. Houses that are priced right, in the right condition and right location will see multiple offers and our market won’t be as up and down as it was in October. Basically, we will continue to have a robust housing market locally. To learn more about your situation, please feel free to call me today. Scott MacDonald (703) 652-5777. Why has the real estate market slowed down? Why has the real estate market slowed down? In my opinion, it is a combination of a few factors. First and foremost, it is interest rates. Over the last year, rates have risen nearly 1.5%. A lot of people say they can’t believe with rates so low, how people cannot qualify for a mortgage. Well this kind of increase will remove buyers from the market regardless of where the rates start and where they end up – 3.25 to 4.75 or 8 to 9.5. An increase in interest rates like this is going to have an impact on the market. Also, house prices have increased by over 17% the last 3 years in our area. 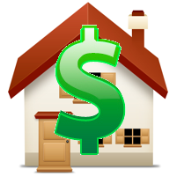 This price increase has also helped to eliminate buyers from the market. Higher prices in any area of our lives – cars, restaurants, food, etc. will eliminate buyers – it is a natural fact. Couple this with the interest rate increase and we have a slower market. Additionally, there are fewer homes to choose from in the lower price points as well making it difficult for buyers to even find acceptable housing to purchase. There are only 1,210 properties priced below $300,000 in all of Northern Virginia and only 271 are single family homes, the rest are town houses or condos. If there are fewer options for entry into the market, there are going to be fewer sales thus slowing down the market. The upcoming finance reform with QM, QRM, and Basel III the first of the year together with the easing of QE 3 leaves a lot of speculation about the future of rates and sequentially, the housing market. Keep a keen eye on these developments to measure their impact. So is the sky falling Chicken Little? Well, let the numbers tell the story. The housing market today is not substantially different than this same time last year and everyone was excited about the market then. Funny how the brisk spring market with low inventory, low interest rates and multiple contracts has clouded the vision of some people. Inventory is up just 6% over last year – not a terrible or scary number. 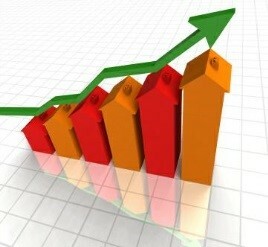 Sales are up in a week to week comparison to last year by 3.5% – a pretty good increase, right? The 2.1 month supply of homes is virtually the same as last year’s 2.0. Distressed property inventory has dropped 40% – which is a fantastic number. This has resulted in a majority of the increase in homes for sale being arm’s length transactions – another good thing. The last number to mention is properties that settled the last 30 days. We are up 14% over last year indicating we are actually experiencing more sales. So, if looked at from a long term perspective, our real estate market is actually doing pretty well. All this being said, we still need to price properties properly as well as get them in the right condition to get them sold for our clients. Keep a positive outlook on the market, good things will happen. Now, go sell something! How are Interest Rates affecting the Northern Virginia Real Estate? Scott MacDonald of RE/MAX Gateway offers valuable information as to how interest rates are driving the real estate housing market in his video blog Scott’s Market Minute. Sellers are urged to price houses competitively to sell fast. For a free Home Market Analysis, contact Scott MacDonald (703) 652-5777 There’s still time to get your home listed for sale!